When can IÂ get the offer? We usually quote within 12 hours after we got your inquiry. Can IÂ order aÂ sample to check the quality? Yes of course! 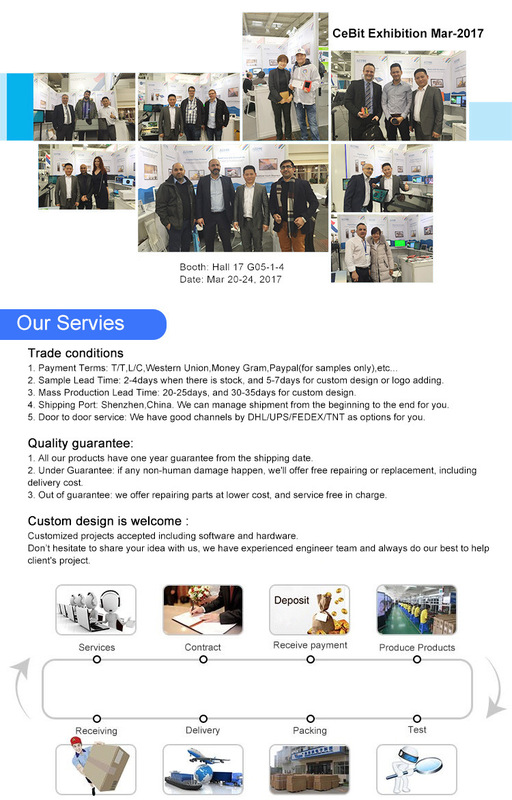 You can order aÂ sample to check the quality. And the sample cost can be refunded in your next bulk order. 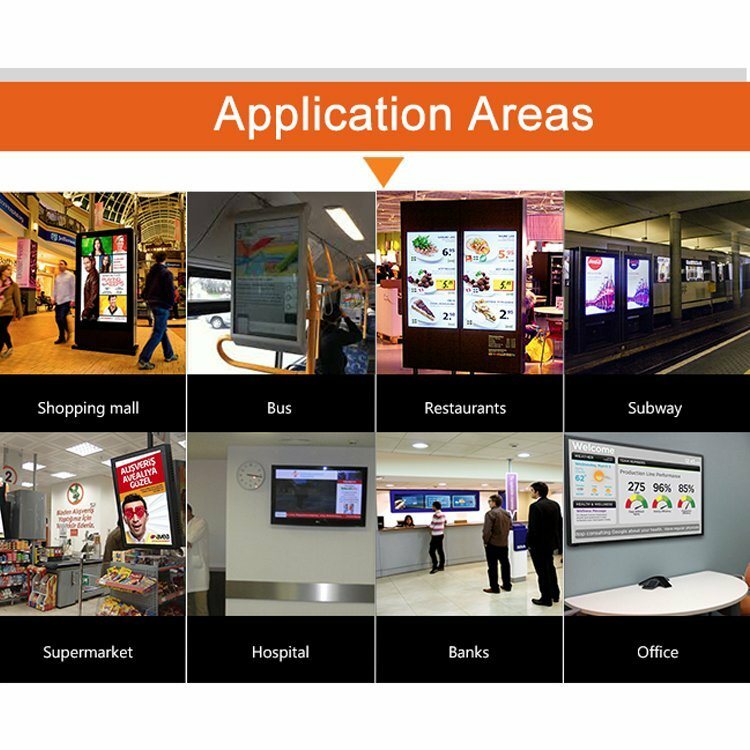 Yes, we are aÂ manufacturer with OEM/ODM service. 1) Tell us model number, quantity, color and other special requirements. 2) Proforma Invoice will be sent for your approval. 3) Productions will be arranged upon receipt of your approval and payment or deposit. 4) Goods will be delivered as stated on the proforma invoice. What kind of inspection you can provide? 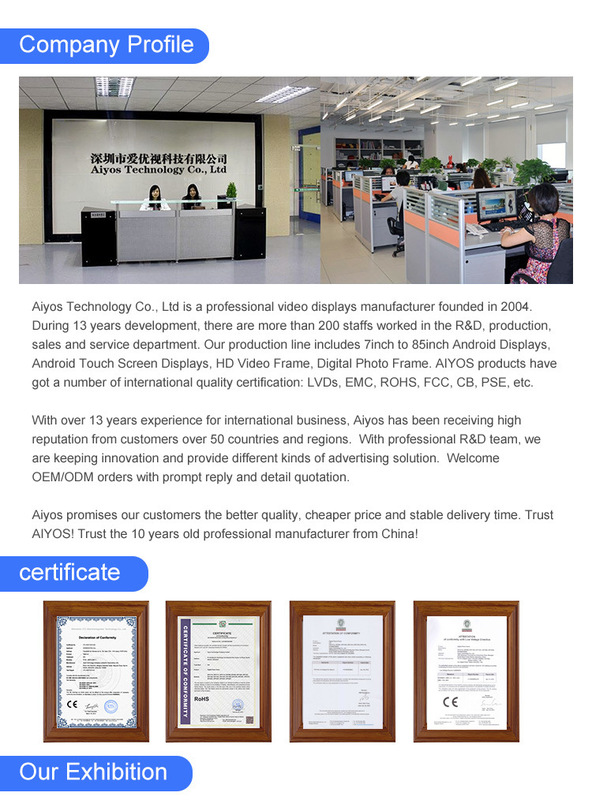 Aiyos has multiple tests from material purchasing to finished products by different departments, like QA, QC, sales representative, to guarantee all signage players are in perfect condition before shipment. We also accept the inspection by the third party you appointed.